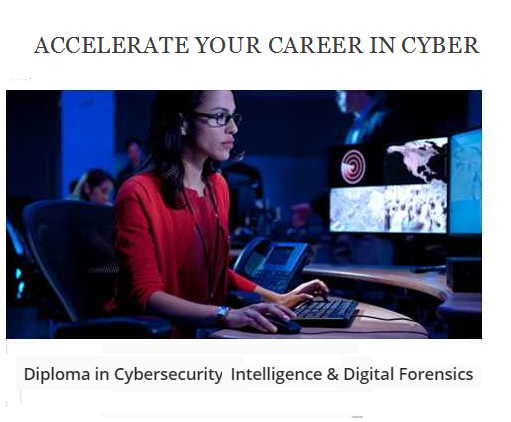 Diploma in Cybersecurity Intelligence & Digital Forensics of Facyber is is a practical-oriented program where learners are tasked with developing capabilities in digital forensics, digital evidence and digital intelligence. Learners will have access to some tools and equipment to work throughout this program . A project report is required at the end of the program. Has Certificate in Cybersecurity Intelligence & Digital Forensics as a prerequisite. Cost: $800 inclusive of the $200 Certificate prerequisite program. You can enroll via this link today.